Alchemical Wizardry at its Finest! Thank you ShadowofCubes for the Screenshot! Thank you to everyone who has helped! Last edited by NintendoFan37 on 09 Feb 2019, 05:38, edited 16 times in total. You could have used textures from EE2 for the tools, you know the red matter ones? Rockawill wrote: looks excellent so far. unless you have like 16GB ram. 512x takes up atleast 6GB. i can run league on full everything and it takes 1GB at max. BTW, can you help me out? I want to know if there is a secret to get that awesome shading that Sphax has. Do you use blending options or just draw it? I'm glad that someone is doing this. Blood Magic is such an awesome mod. 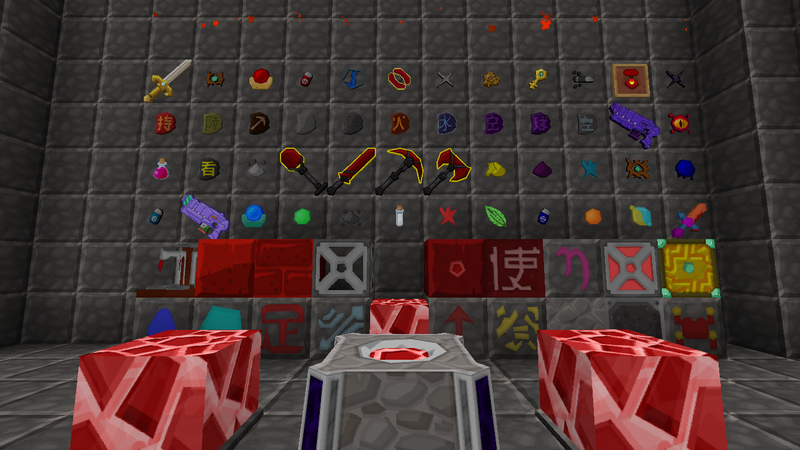 Author of "Redius Reboots on Resonant Rise", an LP series in the popular modpack. You should also use the Red matter armor from EE2? just a suggestion as they seem very similar and EE2 isn't used anymore. Agreed. I would advise you to use as most textures as possible from EE2 because this patch is just one of the best ever. I love these textures so much!